The Senate on Monday admonished the Independent National Electoral Commission, INEC, against undermining the powers of the National Assembly in the amendment to the Electoral Act 2010. President of the senate, Bukola Saraki issued the warning while making reference to the controversy generated by the recent amendment to Section 25 of the Electoral Act, which seeks to re-order the sequence of elections during the 2019 elections. Saraki spoke while declaring open a public hearing on the bill seeking to establish the National Electoral Offences Commission, which was conducted by the Senate’s Joint Committee on INEC, Judiciary, Human Rights and Legal Matters. The senate President said the National Assembly reserved the powers to legislate over the electoral body and other agencies of government. Represented by the Deputy Majority Leader, Senator Bala Ibn Na’Allah, Saraki noted that lawmakers could not be involved in any legislation that would violate the constitution. “INEC should be cautious of who it is listening to. We would not sit anywhere this constitution will be violated. It is necessary we caution ourselves. We need this country, we love this country,” Saraki said. He also lamented that some political aspirants and parties were already campaigning when INEC had yet to declare electioneering open. 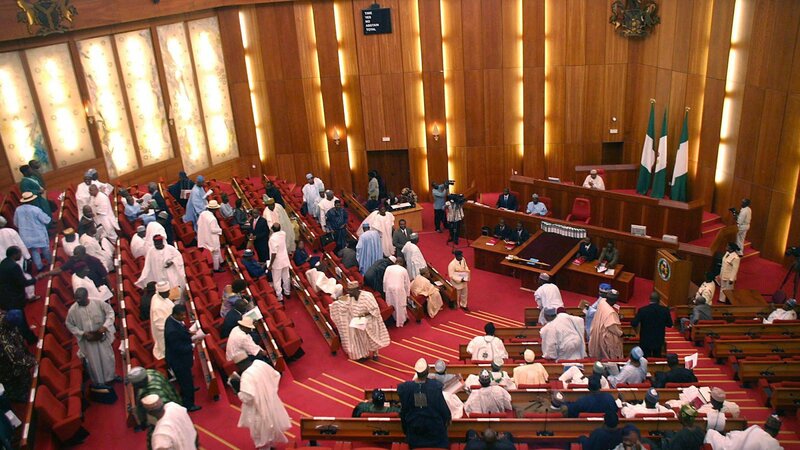 “The Senate in particular would be very worried, if INEC begins to condone the actions of some political parties. You have not declared campaigns open, and some are already campaigning,” he said.